Have you heard of Croatia? If your answer is no please go to Google… If your answer is YES then I’ve got the perfect day trip for you! Living in Split, Croatia makes you realize the beauty of a small seaside town. Everyone knows everything its easy to get around and definitely a big difference from the rat race city ‘Melbourne’ I grew up in. 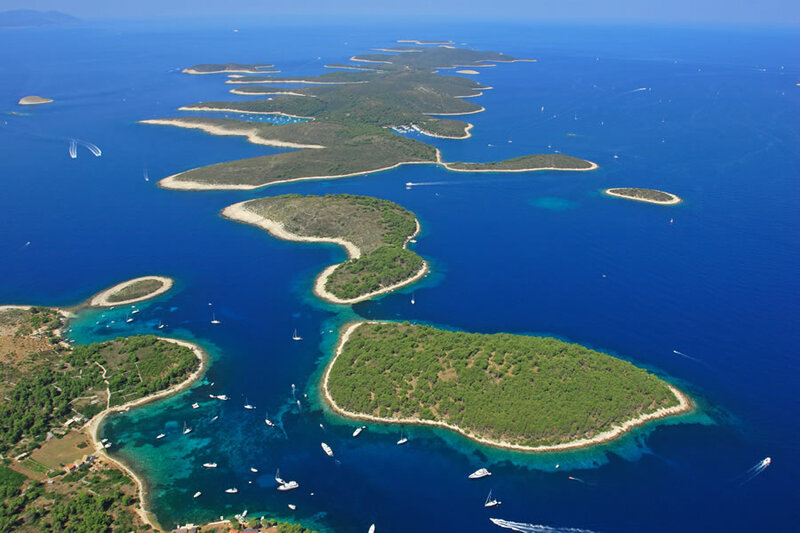 A girlfriend of mine from Split, Croatia told me about this amazing day she experienced on a luxurious catamaran from Split to Hvar she asked me “Have you heard of Summer Blues” I was like Summer what? She looked at me like I lost my mind (because everyone in Split knows what’s what) and said “Summer Blues”… Like I was suppose to know, I thought she was talking about a new summer cocktail then she showed me their website …I was blown away this big beautiful, lux catamaran (the largest on the Croatian Coast) was peering back at me from my laptop screen I couldn’t resist I immediately booked the Split to Hvar day trip! The day begun at Split Riviera as I hopped onboard, I gasped at the beauty of the catamaran I immediately headed to the sailing nets and parked my beach towel. As we headed off Summer Blues delivered views of the most scenic parts of the Adriatic seacoast. Cruising by charming fishing villages that make up the celebrated Central Dalmatian Coast I grabbed myself a complimentary Cuba libre cocktail and soaked in the sun as the winds guided us to our first swimming stop ‘Milna’ on the island of Brac. As I jumped off the catamaran into the Adriatic Sea the smell of salty freshness overtook my senses. I couldn’t believe that something so magical existed, truly God given. Swimming in the middle of nowhere in the turquoise waters off the island of Brac was the perfect medicine to forget the everyday rat race of urban life and a reminder of the beauty and richness of the Dalmatian Coast. The Archipelago islands known as Pakleni. Discovering this chain of 21 wooded isles, they are set like jewels in a crystal-clear sea. Whirling through the narrow straits to deserted lagoons I enjoyed the privilege of having a beach of our own. As I breathed in all this serenity, I thought to myself “Summer Blues where have you been all my Dalmatian summer life”? As we cruised towards Hvar, Croatia’s sunniest island I dined on a scrumptious chicken Caesar salad and soaked in the Dalmatian sunrays. 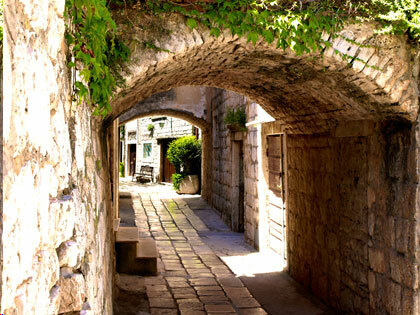 Stopping at Hvar’s Old Town, known as Groda, I found myself treading this timeless historical grid, divided by ancient walls and dotted with monuments. We had free time to roam the island and I ascended to the famous structure Arsenal, mentioned in Venetian documents and is known to be ‘the most beautiful and the most useful building in the whole of Dalmatia’. I grabbed myself a coffee and sat St. Stephan’s piazza, one of the largest squares in Dalmatia and the perfect spot that gives you the ultimate feel into the everyday island life of the locals. Observing the locals I noticed, Dalmatians, without trying, lived the quality life, the kind of life the western world dreamed of and I realized that there was no other place I’d rather be. Heading back towards Split we stopped at a pristine swimming spot called Bobovisce bay, the crew where young and fun (and very cute) and entertained the boat all day with various animations, the music was soothing and the dancing started to kick off as we sailed back into Split port. I must admit I have had many summers along the Dalmatian Coast but Summer Blues completed and gave me the ultimate Adriatic experience. I can’t wait for July to come any sooner! Are you planning to visit Dalmatia to experience a little piece of the Adriatic Sea? 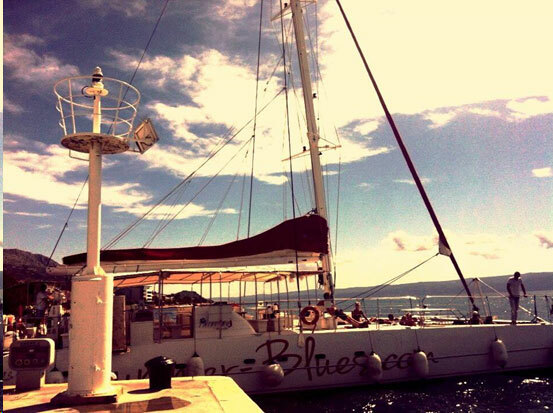 Have a look at Summer Blues and start planning your trip to Dalmatia!